And so begins my march to Lake Placid and all the fun in between in the decision and the actual event. My march is not alone, I have great support from my family, friends and of course my coach Richard Cadman of Tricoach. The training is broken into the Prep, Base 1, Base 2, Base 3, Build 1, Build 2 and the Peak phases. So right now, I am in the Prep phase, which means just kind of floating along keeping some of the fitness I gained last year and not letting it all slip away. 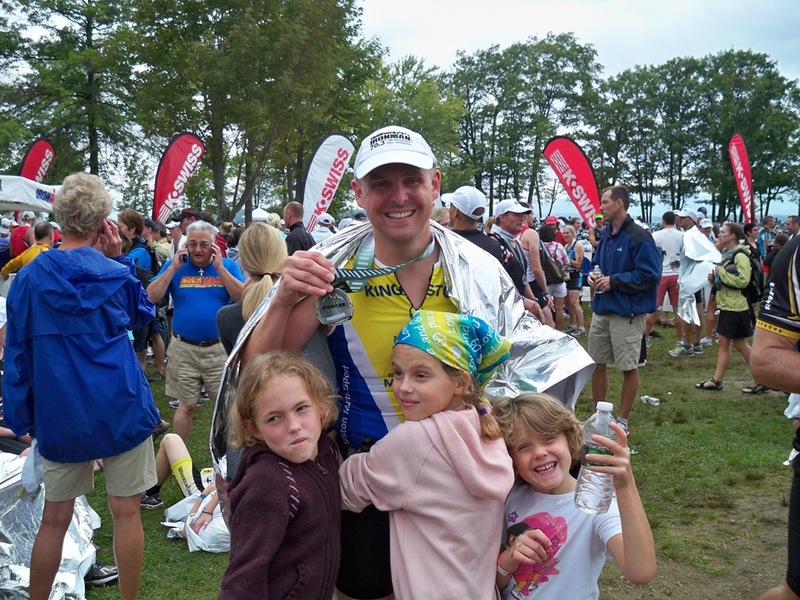 After Timberman, I was very happy and felt as strong as I ever have. I used this training to carry me through one Ultramarathon (50K) in Sept and one Regular Marathon in October. Yes…it was too much, and No I would not do it again. By the time I ran my regular marathon I had a very tough race. I finished in 3 hrs 32 minutes ( my personal best is 3 hrs 21 minutes)but it was a tough as I had experienced on the circuit. My body really started rebelling against me around the 32 km mark. These are periods when injury becomes a very real possibility and I could have hurt myself. What did I learn? Periodization, Proper recovery is important and being realistic when goal setting. So, after that, I allowed myself some time to recover and feel good. I did run a 10K in November and managed a PB with a time of 41 minutes 17 seconds. Nothing since then, and my next race is scheduled on January 16th which is also a 10K. I swim 2-3 times a week in one hour sessions with our Masters Club in Perth. I run 2-3 times a week with minimum runs around 10K, and max around 16-16K. I spin twice ( hour sessions ) a week, usually on Thursdays before swim and Saturday mornings after a run with some local tri folks. Moving into January, we need to start slowly bringing this up. Keeping in mind, it is still the prep phase..so nice gentle workouts in Lower Zones. The Spin does need to start increasing time on the bike. I spent some time with my coach at a gym not long ago because he feels it is good for me to get into some form of strength training. I am not one to have spent a lot of time at a gym, but I will buy into this. Core strength, even while I was at Karate, was vital to many physical activities. So, here we go, off this morning to kick it all off. I am planning a nice easy 15K run this morning with a friend. Living in Ontario, I am dealing with winter temperatures…but today it’s 4 degrees and the roads are dry! Later this evening, I will be doing some strength training with some free weights I have downstairs. Not ideal, but I do not have access to a gym today.